For centuries, Dalemark has been a land divided by the warring earldoms of the North and South. 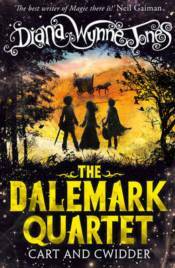 Now, with the help of the mysterious gods of Dalemark, four extraordinary young people must join forces to reunify their beloved home. When twelve-year-old Moril's father is murdered by soldiers, Moril inherits his ancient cwidder � a musical instrument with a mysterious past. As Moril and his siblings embark on a dangerous journey to escape the evil forces around them, he gradually learns how to channel the cwidder's strange and powerful magic. But is it enough to protect those he loves from the looming threat of war?